Another day, another company hopping on the virtual reality bandwagon. 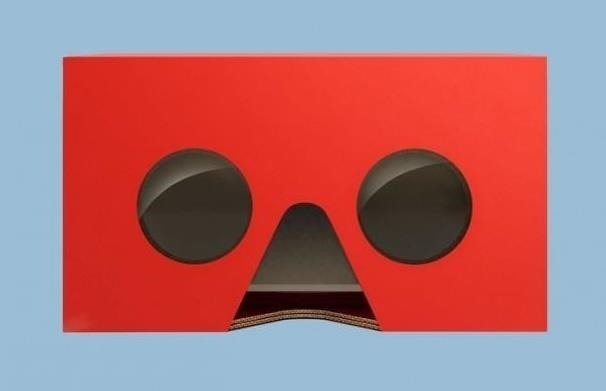 Today, it's fast food behemoth McDonald's, which is testing limited edition Happy Meal boxes that you can turn into a VR headset by punching out a couple holes and tearing along a few perforated seams. The resulting headset is a lot like Google Cardboard, with the lingering scent of fry grease. These "Happy Goggles" look anything but. 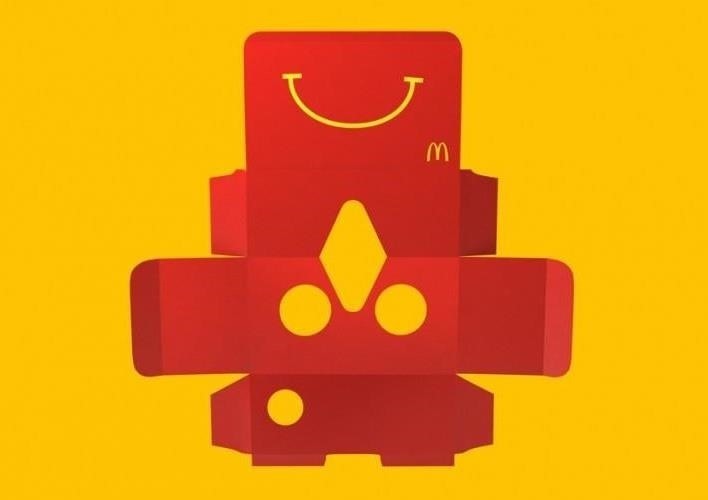 Before you go running out to your local McDonald's to pick up a Happy Meal for your "little brother," you should know that the promotion is only running at 14 locations in Sweden, on the weekends of March 5th and March 12th. It could be a dry run before a larger rollout, or could just be a McDonald's Sweden promotion... only time will tell. The promotion coincides with the Swedish recreational winter holiday "Sportlov," which is so Swedish that it doesn't even have a Wikipedia entry in English. Many Swedish families take skiing trips over the break, so McDonald's will be pairing the so-called "Happy Goggles" with a game called "Slope Stars," where you collect stars while skiing (there's some game footage in the video above). Here's how the Happy Goggles look when unfolded. Assembling the Happy Goggles actually looks like it'd be a little complicated, but that makes sense once you remember that [insert terrible IKEA joke here]. Swedes will be able to purchase a Happy Goggles Happy Meal for what amounts to about $4.10 (35 kr), which is a pretty good deal—that's less than lots of other cheap VR headsets, and this one comes with a meal. If you're in the market for a cardboard headset but are 1) not currently in Sweden or 2) looking to cut back on fast food, then you can take a look at the Google Store, where you can now find third-party headsets like the nostalgia-inducing Mattel View-Master VR or Goggle Tech's C1-Glass VR, which look kind of like the Opti-Grab. You could also go through the ridiculously lengthy instructions for building your own cardboard VR headset, but unless you have Velcro, magnets, and lenses somewhere, it's easier and probably cheaper just to buy one.